Join Dr. Hannon For A Facebook Live Event December 10 at 12 Noon! 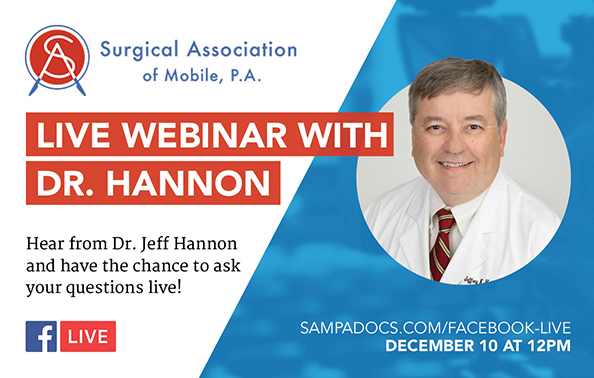 Dr. Jeff Hannon and Surgical Association of Mobile are excited to present a Facebook Live seminar on Monday Dec 10, 2018 at 12pm. Please sign up below to be reminded of the seminar. We also encourage you to submit any questions you may have using this form as well.